VANCOUVER — A local nonprofit whose members have a heart for service, Ourganda representatives recently returned from a trip to the impoverished country of Uganda to formally launch their medical efforts to help people in the Bundibugyo region of Uganda. Due to poor medical services and a lack of necessities like clean water or basic hygiene, Gladden said that even ordinary scratches can become fatal. “It’s just heartbreaking because things that are routine here are sometimes fatal there,” Gladden explained. Gladden said that he had been traveling to Uganda since 2005. In 2006, he and his daughter bought land and established a non-governmental organization and started an orphanage. While he was there, Gladden said he witnessed so many medical needs, and knew something needed to be done. The Ourganda organization came from that realization, but also from the urging of Joy Staley, a clinical psychologist from Yakima who teaches at Pacific Northwest University of Health Sciences. She told members of the Ourganda board about a student organization that sent medical students to third world countries to work, and wanted to help them go to Uganda. Gladden said that when the orphanage in Uganda said that they were an orphanage and not interested in medical work, “Dr. Joy was beside herself.” She came to Gladden, who had previous experience in Uganda, to consider establishing an organization to address medical needs in Uganda. Last May, a group came together to start planning the organization and raise money. Gladden said that Jan. 1 was the first official launch of Ourganda activity in Uganda. According to Gladden, Uganda is extremely poor, but a relatively stable country. It is approximately the size of Oregon, he said, but with 10 times the population, 82 percent of which live in mud huts in rural areas. 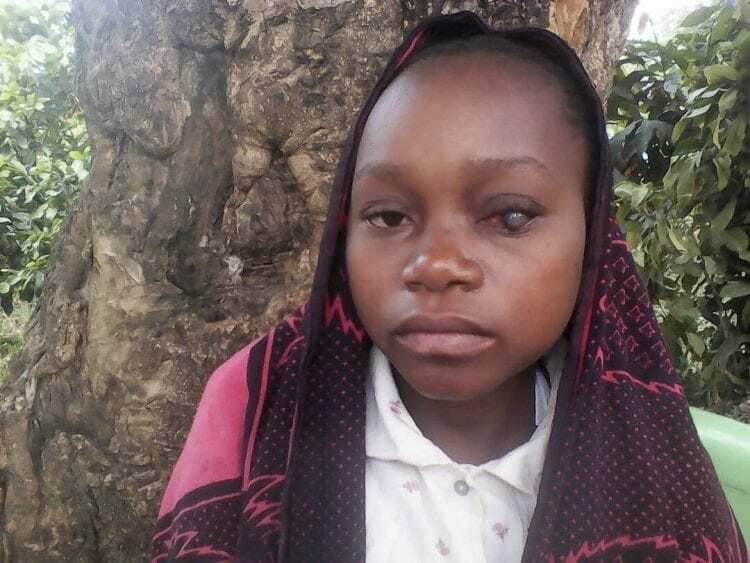 The Bundibugyo region in western Uganda is situated along the border with Congo, and unrest in the Congo can sometimes spill over into Bundibugyo, Gladden said. Consequently, not many aid organizations work in that region. According to Gladden, Ourganda works to provide for medical needs but also provide ways for the local population to improve their quality of life. Currently, the organization is operating in three villages in Bundibugyo. Ourganda works to extend lives, treat medical emergencies and teach people how to live healthily. Gladden also said that the organization establishes wellness clubs in each village, so that there is ongoing support and local resources to the population. 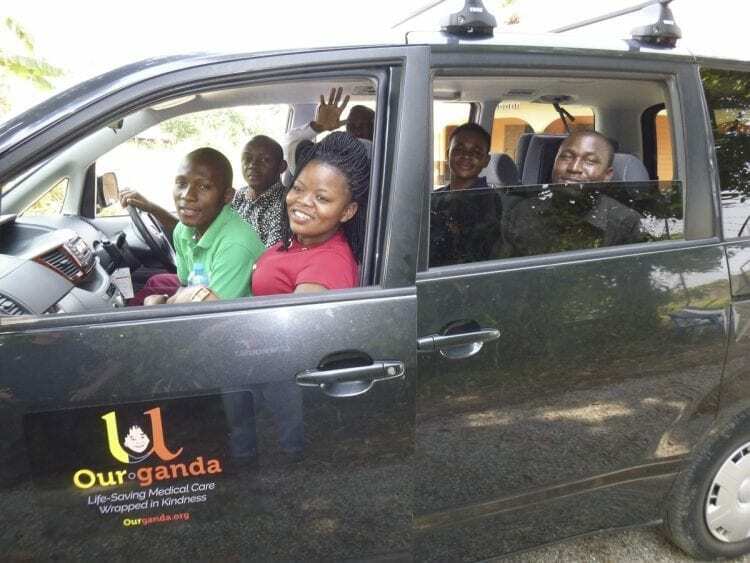 The Ourganda team in Uganda is comprised of several medical clinical officers, a driver, an apprentice drive, an accountant and a program director. This team uses a van to travel to different villages to provide medical aid to the villages. The organization also establishes wellness clubs in the villages, staffed by a person of health, a person of peace and an assistant. Gladden said that the team in the villages encourages healthy living, coordinates with the medical team in the event of emergencies and provides for spiritual well-being and guidance as well. All of the people working for Ourganda are local Ugandans, and the wellness clubs are designed to foster lasting changes in the villages by providing classes on health, ensuring that the knowledge is put into practice, as well as requiring a small copay “so that there’s some commitment on their part,” Gladden said. While the copay can easily be waived if a villager cannot afford it, Gladden said that making those commitments help the wellness clubs have lasting effects because the villagers are invested in them. The medical van and team is stocked with necessary medical supplies, and Gladden said that the goal is to keep it fully stocked, unlike local hospitals which often run out of medical supplies. The team provides emergency treatments, triage and transport to hospitals if necessary. Gladden noted that Ourganda is a faith based organization, so while the primary service is medical needs, the wellness clubs provide faith based activities for those that want to participate. The organization provides a battery powered video projector to share a film about Jesus, and also provides solar powered audio Bibles. The person of peace in the wellness club leads faith activities and weekly Bible stories, as well as being a spiritual support member of the team should local people seek it, Gladden said. Gladden recently returned from the Ourganda launch, where they purchased the van and hired staff. He said that local chiefs and leaders in Bundibugyo were thrilled to see the entry of an aid organization into their region. “We’re really proud of this, and we have a good start, we have a great team,” Gladden said. 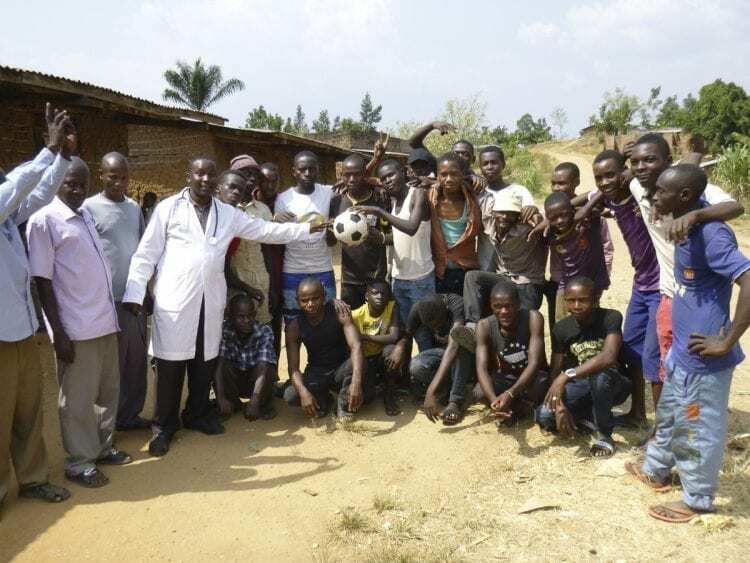 The goal is to have the medical team visit each of the three villages at least once a week, and as the organization becomes more established to expand into other villages in the region, according to Steve Stubits, a board member for Ourganda. Stubits said that the main reason for the lack of hygiene and health is a lack of any sort of clean water supply in Bundibugyo. 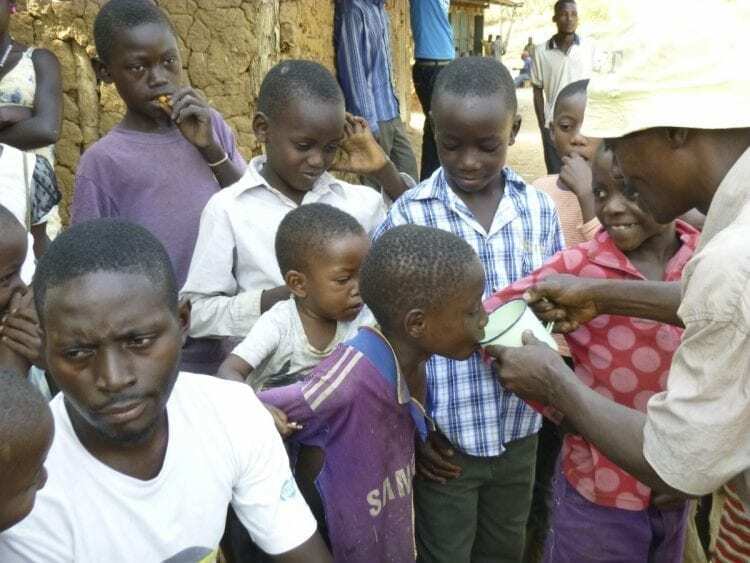 Part of the goal of the wellness clubs is to show Ugandans basic hygiene, such as washing hands, to mitigate some of the effects of bad water supplies. However, Stubits said that getting clean water to the villages is key. 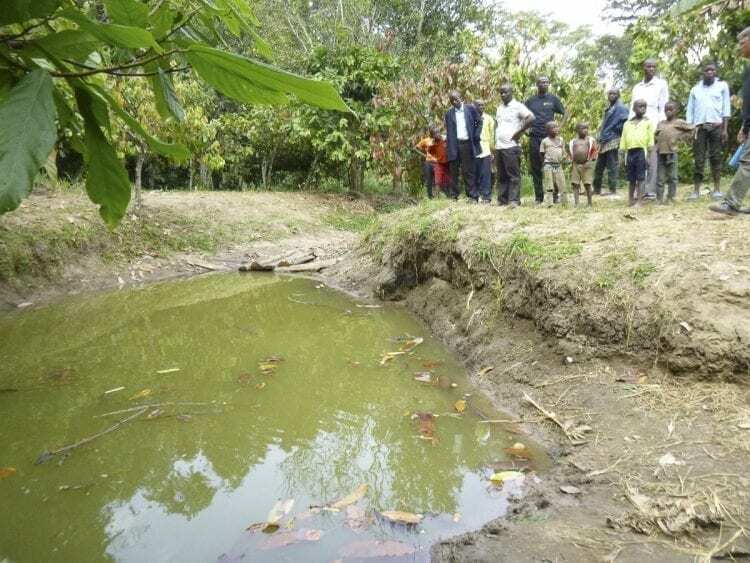 Going forward, he said that Ourganda is examining adding wells, piping water from another village or expanded distribution of filtration systems to provide clean water, which will be the main driver of hygiene and health efforts in Bundibugyo, Stubits explained. The two keys to helping stabilize health and the villages in Bundibugyo, Stubits said, are getting them clean water and sanitary latrines. Once those are established, there will be room for other organizations to enter and help establish other practices such as agriculture. Going forward, Gladden said that there will be another medical trip to Bundibugyo in July. Two or three physicians and ten medical students from Yakima will travel to the country and work with ten medical students from a Ugandan university to serve in two different areas of the region. Gladden said that the long term goals for the organization are much more ambitious. He said that there are five areas in the world known as “blue zones” where people tend to live to 100 years of age. “It’s crazy,” Gladden said, but one of his long term hopes is to make the villages served by Ourganda into blue zones. Gladden also explained that they hope to eventually have enough vans to serve every village in Bundibugyo, which has approximately 600 villages. 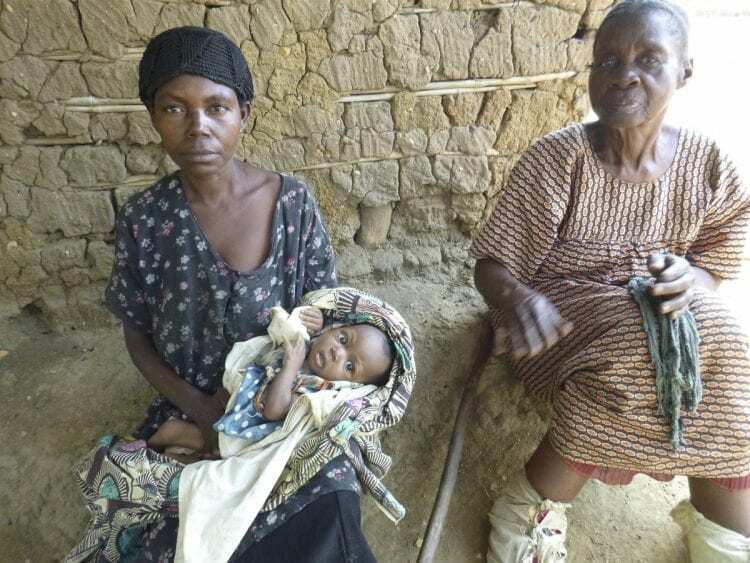 Because of local conditions, very few aid organizations are operating in Bundibugyo, and Ourganda aims to bring aid to “the most forgotten part of a forgotten country,” Gladden said. “God’s provided everything we’ve needed so far,” Stubits said. 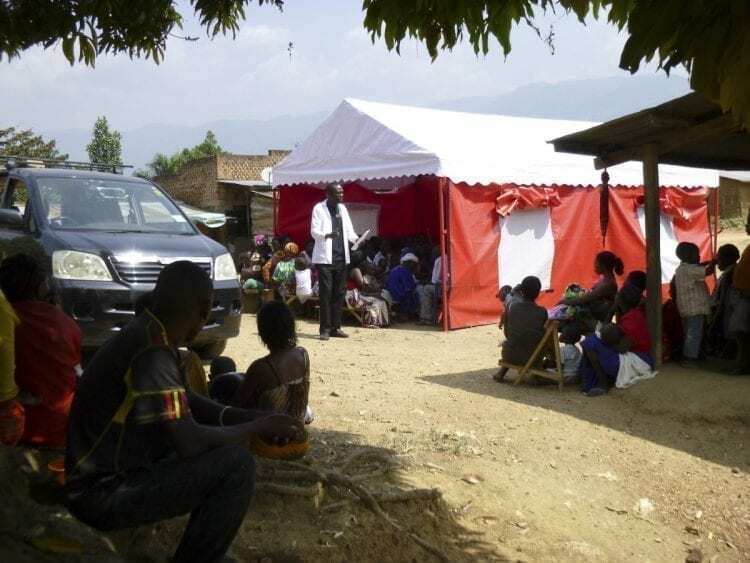 While Ourganda’s primary work is to provide health and hygiene services and education to the Bundibugyo region, Gladden emphasized that there is a large element of faith driving the group’s work. “What drives us is Matthew 25, where Jesus said if you’ve done an act of kindness to someone it’s like doing it to me,” Gladden explained. Through Ourganda’s work, Gladden and Stubits hope to “extend the love and grace of God to people” that are in “desperate need,” Gladden said. “If we don’t help them, who’s going to?” Gladden asked. To learn more about Ourganda, visit the organization’s website at http://ourganda.org/.